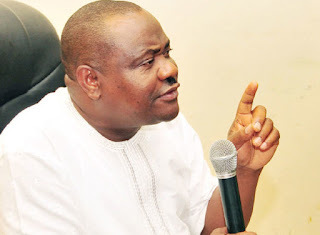 Governor Nyesom Wike of Rivers State has warned presidential aspirants of the Peoples Democratic Party not to move its national convention from the state. According to Wike, the state will teach a lesson to anyone who is skimming to move the national convention away from the Niger Delta state. “Let me warn the party, if they dare, Rivers State will teach the party a lesson,” the former minister of education said. “Those days have passed when they took Rivers State for granted. Nobody can use and dump Rivers State. No Presidential Aspirant can use and dump Rivers State. “We never lobbied for it, we never asked for it, but it will boost the economy of the state. People will make money. Wike also wondered “why anyone who wants to be President, will be afraid of a venue. Then you are not prepared for the election. “Nobody should dare Rivers State any longer. Enough is enough. PDP should know that we are not a punching bag. We are not people you can use and push. “We are not harlots. Whenever you want, you come. When you finish, you push us aside. “We will retaliate at the appropriate time. When you go, tell your colleagues, the Presidential Aspirants.